Baby, kids ads in Melbourne. Thank you for visiting our free advertising website Baby, kids, Melbourne section. We provide high response free classifieds and free advertisement. Use our online free Baby, kids classifieds placement system to find, list, offer Baby, kids online! Explore our fantastic range of Cot Mobiles Online. 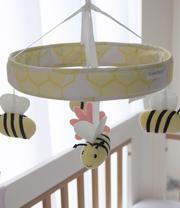 We help you shop for the best baby cot mobiles with our pick of the best in the online market.Australian made and sourced The Bubba Blue Bee Beautiful collection will have your little one buzzing with delight.. Many kids dream of owning and riding their own pedal cars. 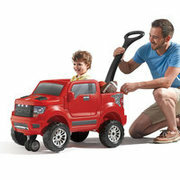 These toy cars can give them a thrilling ride whether indoors or outdoors. 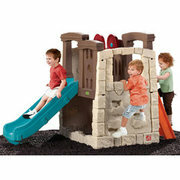 Thus kids can play with their portable cars inside their house or in the park. Not only are pedal cars super fun to ride on, but they are also safe to play with. These pedal cars for kids from Tiny Tiny Shop Shop have safety features and a steering wheel that is easy to maneuver. Arts and crafts encourage toddlers to become more creative. They can let their imagination flow and produce a masterpiece. There is a plethora of art materials of different colors and shapes which toddlers can choose from to create a work of art. Moreover, arts and crafts can assist toddlers to develop their motor skills. At caminokids.com, you can buy the clothing items for kids at the best price in Australia. After your first order, you can get 10% off with 14-day return policy. Visit our website for more information. Contact Us:- Brand Name:-Camino Kids Business Mail Id:-joseph@caminokids.com Address:-36-38. 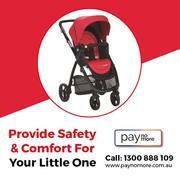 Get lightweight strollers, travel seats, baby boosters and more at Paynomore. We're here for you – buy now and pay later using afterpay and Oxipay payment option. Take your baby safely with you in style with our top-rated strollers available on Afterpay and Oxipay. Shop for the right baby stroller from our wide selection today from http://paynomore. Find an extensive range of top quality disposable nappies, baby wipes and baby care products from Eco Friendly and Big Brands including Huggies, BabyLove, Bambo Nature, Moltex, Ecoriginals, Seventh Generation, Naty Tooshies by TOM, Wotnot and WaterWipes..We are family owned and operated with over 15 years experience. We aim to offer quality, beautiful, modern baby, nursery, kids & parenting essentials, that are not just loved by children, but by any stylish parent. We know it can be an overwhelming time as a parent, let alone a new one. We aim to be there for you to introduce useful, popular products and provide all the information you need to make the right decision for you and your family. The Baby Gift Company sells high quality, adorable baby gifts and baby gift boxes for newborn babies, new mums, baby showers and christenings. Our gift range features cute and practical cotton baby clothing, soft baby towels, cuddly toys, photo albums and frames, organic baby skincare products and much more. Reusable Cloth Nappies Australia Best4Bubs vision is to provide quality products that are in Swim Cloth Nappies, Reusable cloth nappies Australia at affordable price, organic and Eco friendly! Tags: “reusableclothnappies” “reusable cloth nappies” “Modern Cloth Nappies” “Swim Nappies. 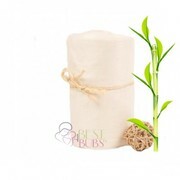 Nursing Cover | Nursing cover Australia Our Best4Bubs, Nursing Cover are of excellent quality 100% breathable cotton. Breastfeed cover comfortably & discreetly, anywhere with Nursing Cover Australia. The new ultimate soft cotton nursing covers take dress to another level. wonderfull designs straight from nursing covers the runway meet best practical features for a cover that accomplishes more than your normal swaddle. Anything Baby is a baby equipment hire company founded in Melbourne in 2009 which has grown since then to include Perth and Sydney. A service to cater for all needs be it a capsule for your newborn or travelling and not wanting to have to take all that equipment with you, our team is here to assist. We stock a wide variety of items from capsules and bassinets to prams, cots, car seats and much more. Cocomo Kids have put together a unique range of 100% handmade crochet products to ignite the imaginations and hearts of your little ones as they grow from babies to toddlers to pre-schoolers. Not just toys to play with but friends to cuddle, imagine and explore the world with and delightful décor to light up their bedrooms and playrooms. If you are looking for preschool for children? Than preschool nsw is best preschool for your children. Preschool is a focal point for kids, with the vision to show them the fundamentals before setting to class. It is an unanticipated taking in process, so the notion of perusing and composing is the main medium here. Connect with the Named and get cheap christmas gifts ideas and purchase flawless and elegant gifts for your kids this Christmas. 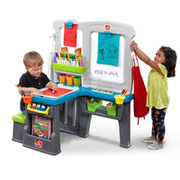 Browse us for best Christmas gifts ideas for kids online! 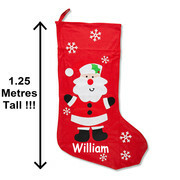 Visit us @ http://named.com.au/collections/christmas-products. 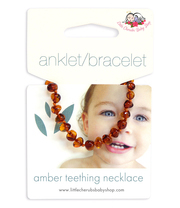 Looking for a gift that is as adorable as your baby? Named is the right online store where you can opt for colorful and personalised Christmas gifts for babies. We have a long catalog to choose from. The hand selected range will be definitely liked by your loved ones. Visit us at: http://www.named. Our friendly and trained staffs will take the time to assist parents with their individual baby care needs. We strive to make the experience very joyful and exciting..
Browse for cute personalised baby outfits come in a variety of designs and colors only at Named. Here we provide best quality 100% Cotton baby outfits to assist the baby's comfort. 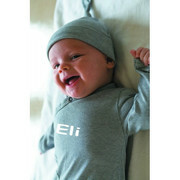 Have a look at: http://named.com.au/collections/gifts-for-kids-baby-outfits. Quality Clothes For Happy Kids Quality childrens clothes for boys and girls aged 0-11 years old. Australia based online kids clothing company servicing all Aussie families with quality kids clothes. Jump on www.duckids.com.au or call 1300 389 030. Named offering quality baby boys wraps for swaddling the baby and providing them great rest and comfortable with beautiful stuffed wraps. The baby boys wraps also proves to be a great shower and personalised gift. Visit to explore our collection: http://named.com.au/collections/boys-wraps. Explore our collection of personalised children suitcases and choose the one of your choice at great prices. We offer wide ranges of products for kids such as Umbrellas, Bottles, Frames, Pencil cases and many more. Hurry up visit at http://named.com.au/collections/rolling-luggage. Now in Australia your can get the perfect Baby owl canvas art online at our website! 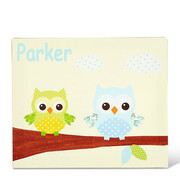 Browse at Named store and explore the best collection of personalised baby owl canvas arts! Hurry visit at http://named.com.au/collections/personalised-canvas-art. 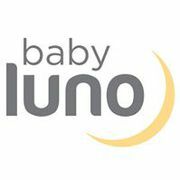 If you are seeking options for baby present ideas, come and see the great options available online at Ludo. 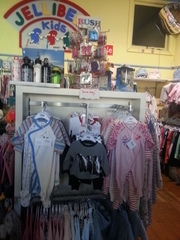 We have plenty of choices from newborn and toddlers.. 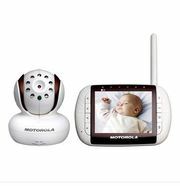 If you want to buy Motorola digital baby monitor online in Australia, All 4 Kids is one stop online shop for you. Here you can find a wide range of baby products at most affordable prices. Our product range includes nursery furniture, pram, kids furniture, stroller, outdoor activity toys. Why are you waiting now? Purchase Motorola Remote Wireless Digital Video Monitor Mbp36 at just $249. Have a glimpse of our collection of unique personalised nappy cakes to gift a carefree childhood to newborns. Available in two or three tiers of nappies, it’s an adorable present with affordable pricing. To show you care, you can personalise it at your will. Our Address 2C Northbrook Ave Malvern, Victoria, Australia Website: http://www. our "ALBERT PARK" store is closing down after 24 years. CLOSES 31st MAY ....address 146 Bridport St Albert Park ..ph 96904142 Pop on in NOW for loads of pre season winter and summer BARGAINS all to CLEAR OUT ( new season up to 30% off selected items only ) SHARE this with ALL you know in melbourne and pop into Albert Park for a bargain !!! sizes 0000 to 14 years , boys and girls mon to fri 10am to 5pm Sat 10am to 4pm brands : bebe , fox n finch , minihaha, tahlia, mossimo , ripcurl, fred bare, levis , sooki, oobi , pure baby hootkid , paperwings , seafolly swim, sleepwear , hats and more . CHILDRENS CLOTHING 000 TO 14 YEARS , NEW , QUALITY BRANDS , located in ALBERT PARK ITEMS FROM $15our "ALBERT PARK" store is closing down after 24 years. CLOSES 31st MAY ....address 146 Bridport St Albert Park ..ph 96904142 Pop on in NOW for loads of pre season winter and summer BARGAINS all to CLEAR OUT ( new season up to 30% off selected items only )Also racks/ shelves etc . Australia free ads for Baby, kids, Melbourne, Baby, kids free ads Melbourne, Baby, kids for sale Melbourne, Baby, kids to buy in Melbourne. Find on this page free classifieds for Baby, kids in Melbourne. This listing includes classifieds for sale and to buy in Melbourne. FREEADSAustralia Melbourne offers you a platform to post free advertisements or classifieds for Baby, kids in Melbourne. FREEADSAustralia helps you search, find buy, sell, rent or hire in various categories like apartments, goods for sale, local services, cars , jobs and many more in Melbourne. If you posted an advertisement in category Baby, kids of FREEADSAustralia Melbourne before please use Edit my ads button to change or cancel your ad. Baby, kids Melbourne ads Melbourne, Baby, kids classifieds Melbourne, Baby, kids free ads Melbourne, ads for sale Melbourne, ads to buy Melbourne, FREEADSAustralia. Find here ads for sale, to buy and rent in Melbourne. Goods for sale in Melbourne, vehicles for sale in Melbourne, Melbourne real estate for sale, Melbourne property for sale, property for rent in Melbourne, business ads in Melbourne, Melbourne business classifieds, services in Melbourne, Melbourne services ads, jobs in Melbourne, pets for sale in Melbourne, Melbourne dating, Melbourne cars for sale.